Toni was being too conservative (you won’t hear that phrase often here) with her original request. Now that she’s discovered what her treatment is REALLY going to cost, she’s been forced to reopen her Go Fund Me. 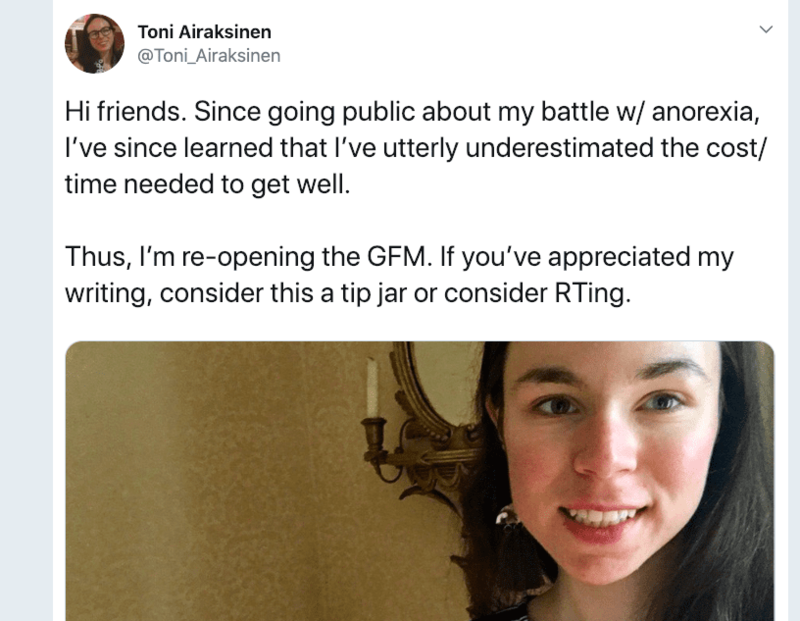 You all may recall that a GFM saved me a few years ago, and I had exactly the same experience. I commend this to you.